On Sale Now! 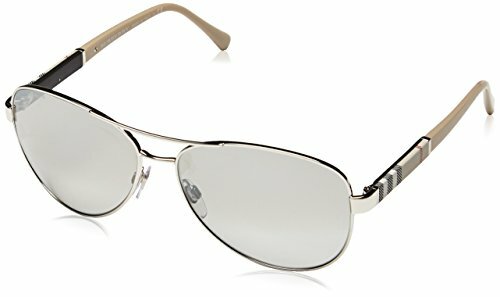 Save 3% on the Burberry Unisex 0BE3080 Silver/Light Grey Silver Mirror by BURBERRY at Laurenee Lifestyle. SKU: MOD.3080SUN_10056V-59. MPN: 0BE3080-10056V. Hurry! Limited time offer. Offer valid only while supplies last. Double bridge. Clear adjustable nose pads. Classic check pattern at temples. Most complementary face shapes: oval, square. Protective case included.